After our wonderful trip to Highclere Castle in the summer, where Downton Abbey was filmed, I was keen for another Downton Abbey related adventure. 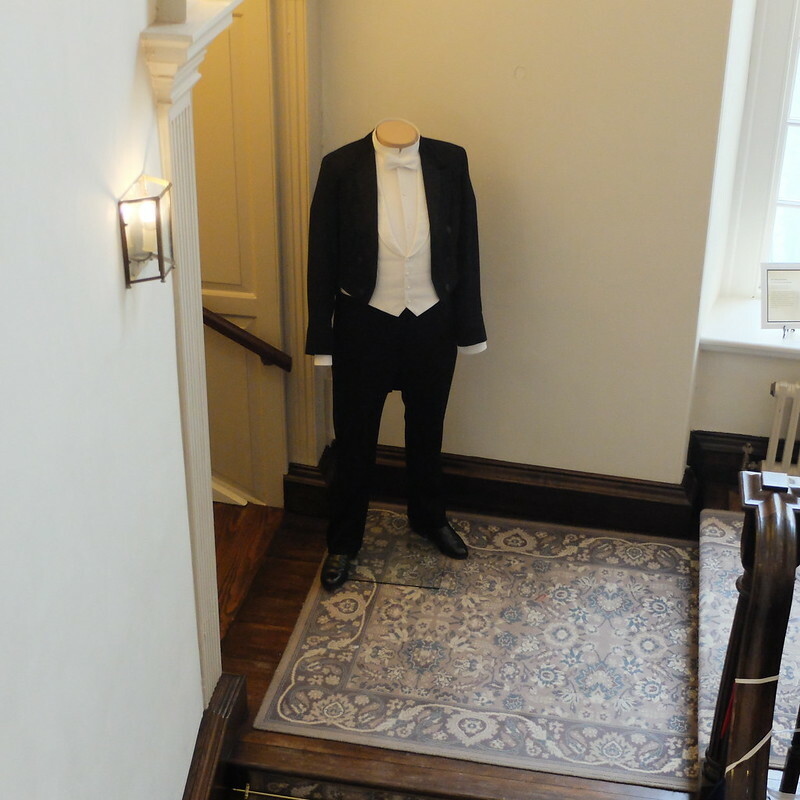 As luck would have it, historic Llanelly House here in Wales held a costume display from the first two series. The timing was perfect for one of my sisters' birthdays, and my mum and husband's mum came along too for a proper family outing! 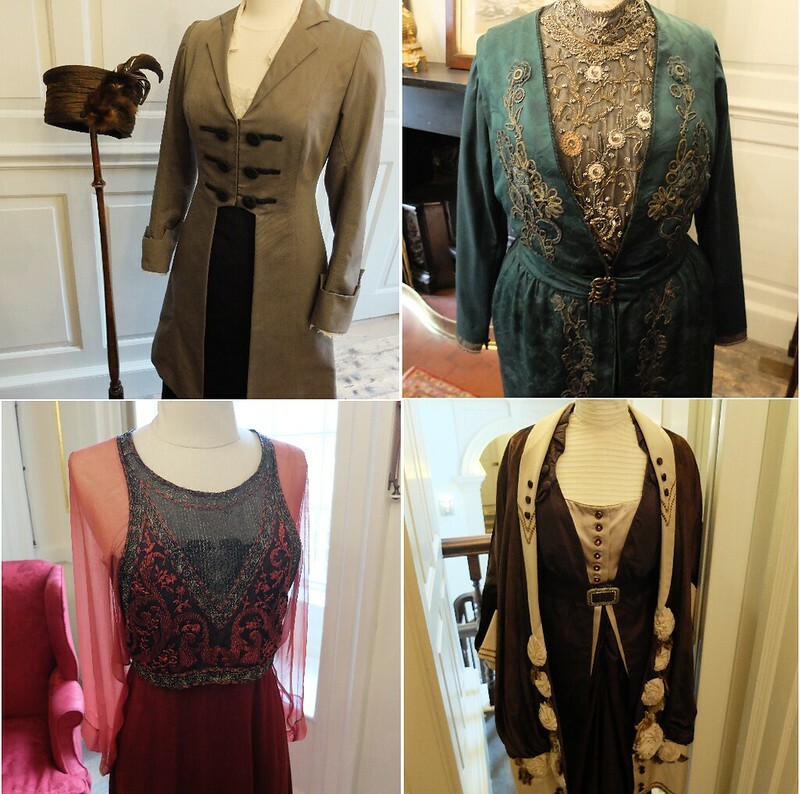 Costumes from the garden party scene - Edith's, Mary's and Sybil's. 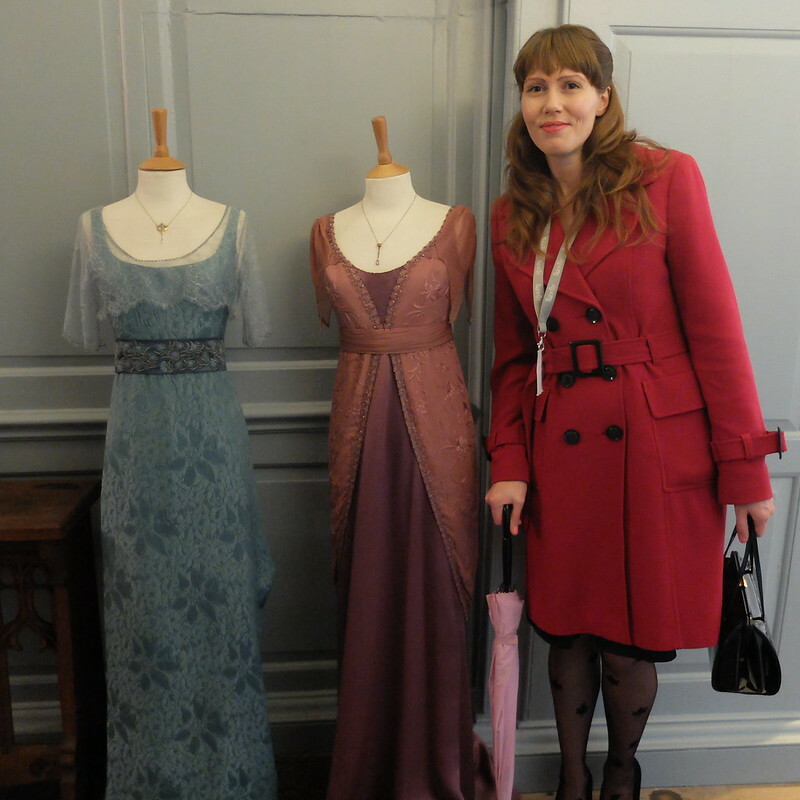 Two are original vintage Edwardian dresses, can you tell which ones? Llanelly House was surrounded by 140 acres of parkland when it was built, but is now slap-bang in Llanelli town centre. The Georgian property has undergone extensive refurbishment and restoration and now offers a glimpse into its grand past. Before we go any further, click to hear how Llanelli is pronounced - the 'Focalist's attempt is most accurate, and will probably perplex you. 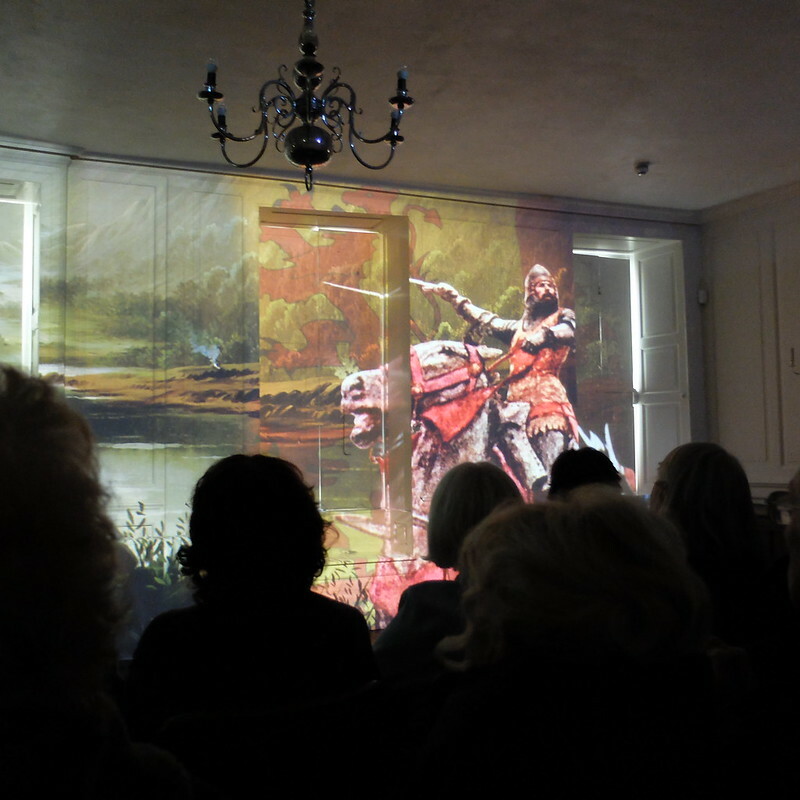 The first stop on the tour was a talk and amazing digital projection of the history of Llanelli town and the house. I learnt a lot and it was very well done. The talk on the costumes for Downton Abbey was incredibly interesting, and focused on how the costumiers struck a balance between era-appropriate and character-appropriate. 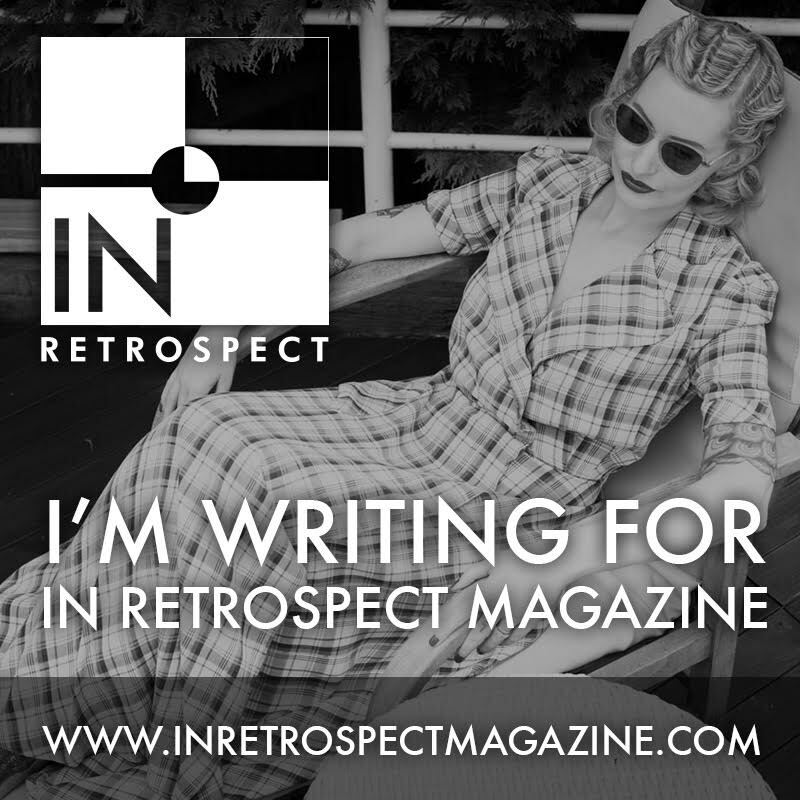 Some garments were made from scratch, whilst others had original vintage embellishments or perhaps were restored. 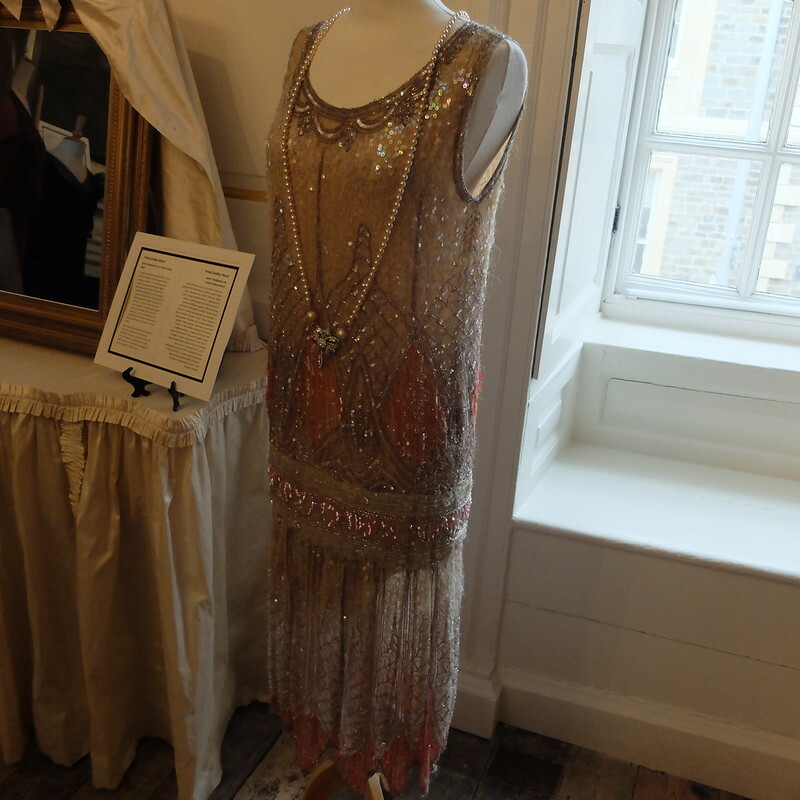 One of the costumes was an original piece previously owned by Freda Dudley Ward, who was Edward's, Prince of Wales, mistress before Wallis Simpson. The first thing that struck me was how petite the costumes are - the actresses are apparently a UK size 8 (US 4), and go down to a size 6 with corsets. They're short too though, as you can see from me towering over their mannequins. After our tour we settled down to afternoon tea in the cafe. 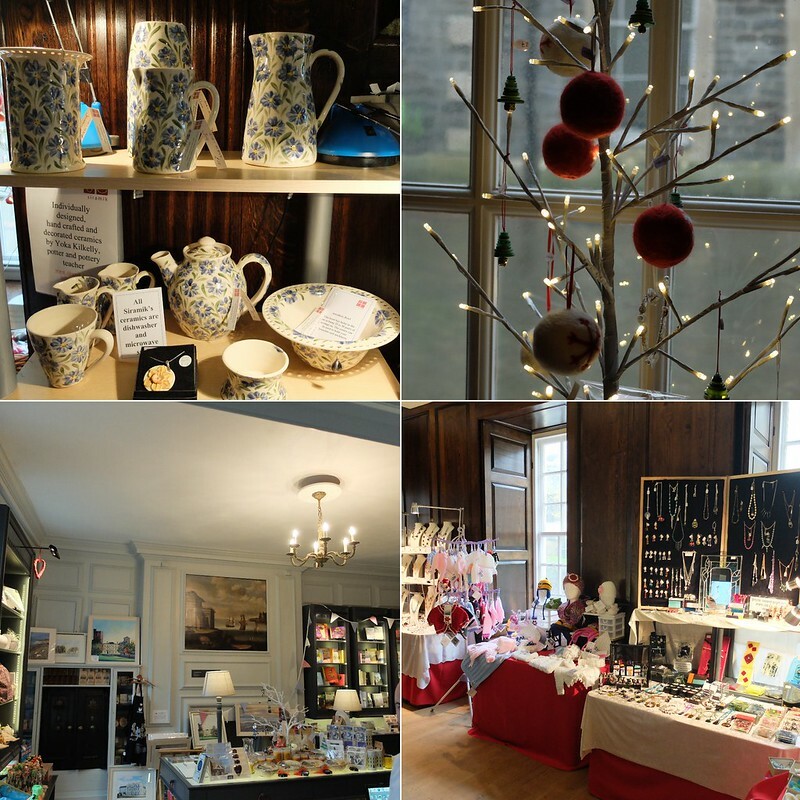 There was a craft fair on, and a lovely little gift shop too. Another excellent digital presentation where the lady of the house gives Georgian beauty tips, including using mouse hide to make fake eyebrows!! 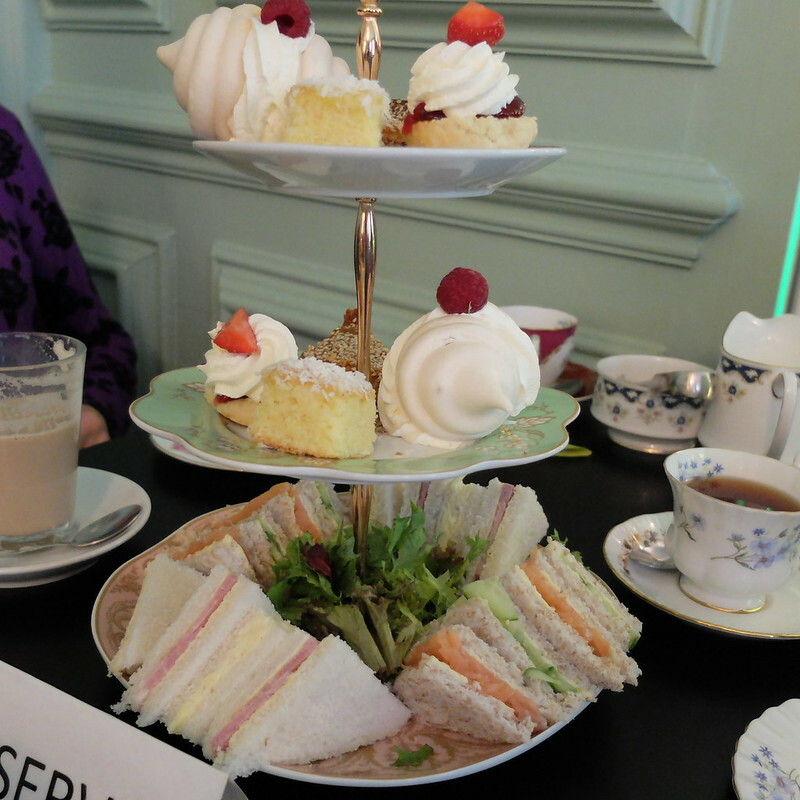 It was a simple afternoon tea, with a selection of sandwiches (salmon, cucumber, ham, cheese), served with a scone, meringue, slice of parkin and lemon cake. The meringue was beautiful, all gooey inside. It was all served on vintage mismatched china, and a nice big pot of tea. The tea and tour was £15.99 per person, which I thought was great value, and it was a good indoors option for a day that was pretty blustery and wet. 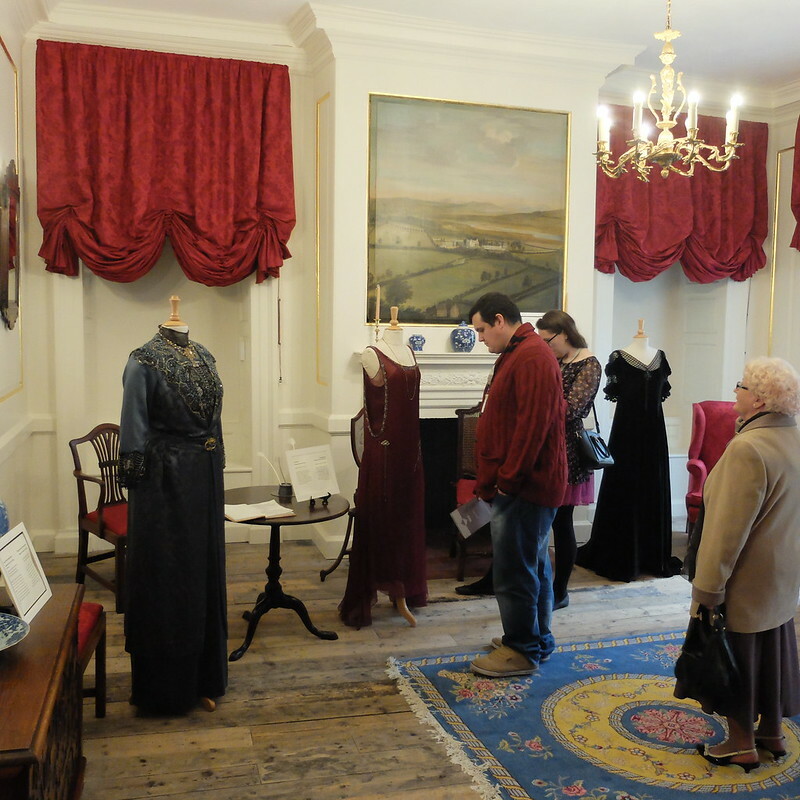 Tours of Llanelly House run daily at set times, and pre-booking is advisable for special exhibitions such as the Downton Abbey costume exhibition. 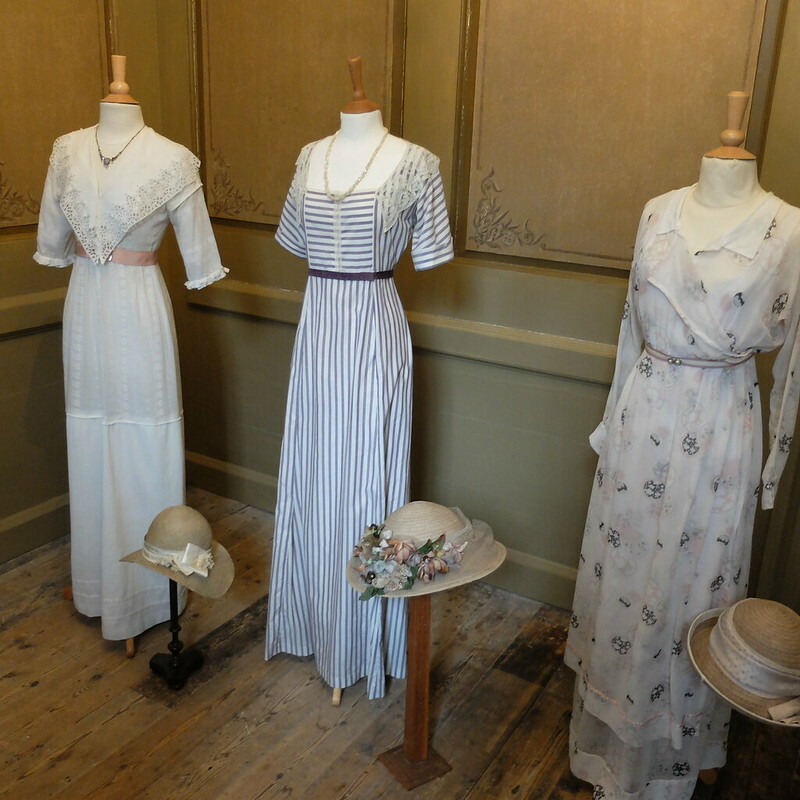 The Dowton Abbey costume exhibition has unfortunately now ended, but Llanelly House still does tours and teas, and has a rotating selection of exhibitions throughout the year. What a wonderful exhibit and fun way to spend an afternoon. TFS. 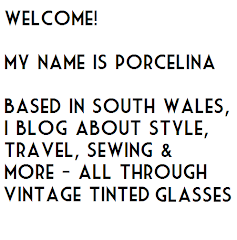 What a delight to see Porcelina - how very lucky :) It is very notorious how small the actresses are… so very petite. Teeny tiny costumes but oh so beautiful. I was more the size of the male actors! 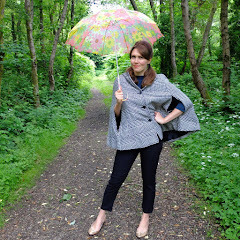 What a lovely day you had! 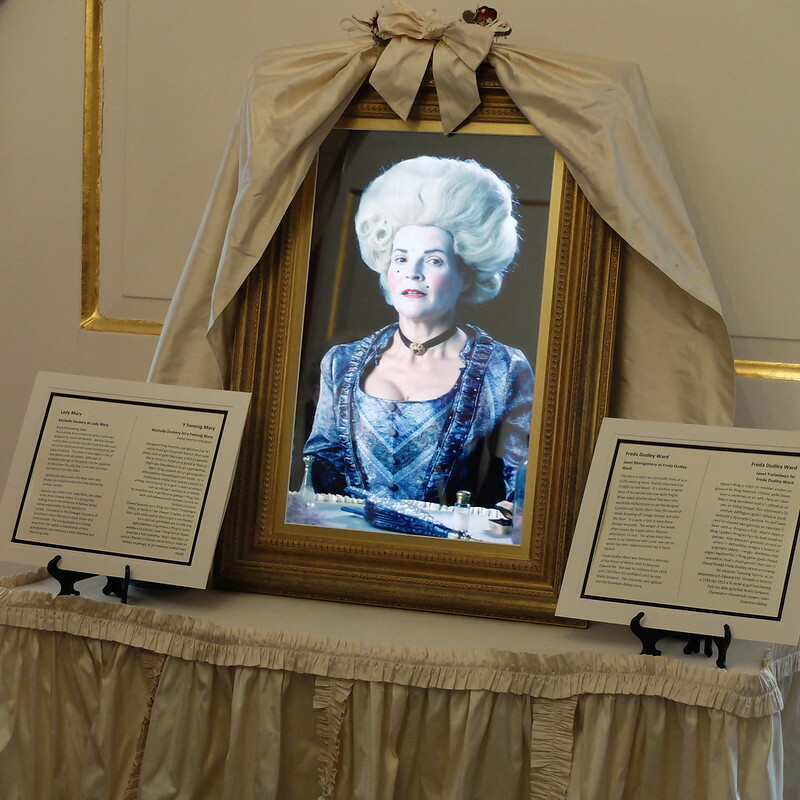 I love the costumes from Downton Abbey! What a treat to get to see these and enjoy a tour Llanelly House all at the same time. That is so amazing that some of the costumes were original vintage. I never would have guessed! Also... to end the day with tea! So perfect!! What a lovely outing. I love to see period costumes, lots of unusual details! Well this sounds like the most fun afternoon! I would love to see some Downton Costumes someday, hopefully they will come to the US again and I can make it to see them. I really like how they incorporate real antique/vintage beadwork and lace for the costumes, even though the historian in me slightly cringes. There are so many pieces out there that are falling apart and if they can save the lace or portions of a gown to re-make into a costume that gives the piece more life than turning to dust in a drawer somewhere. 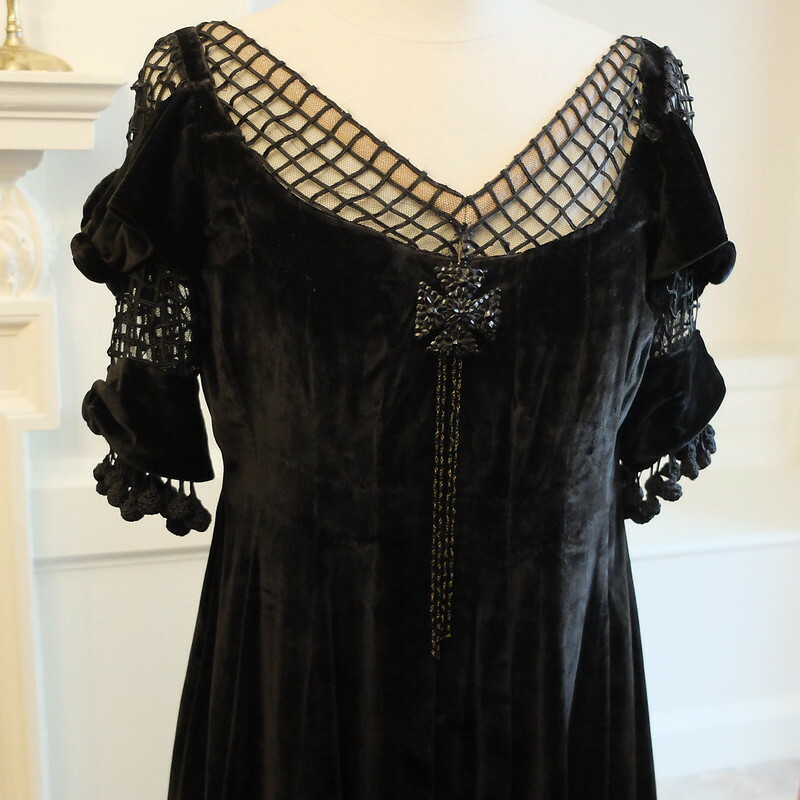 Not all antique gowns can be saved after all, and then we get nice authentic looking costumes! TINY costumes! You look like a giant beside that beautiful dusty pink one. 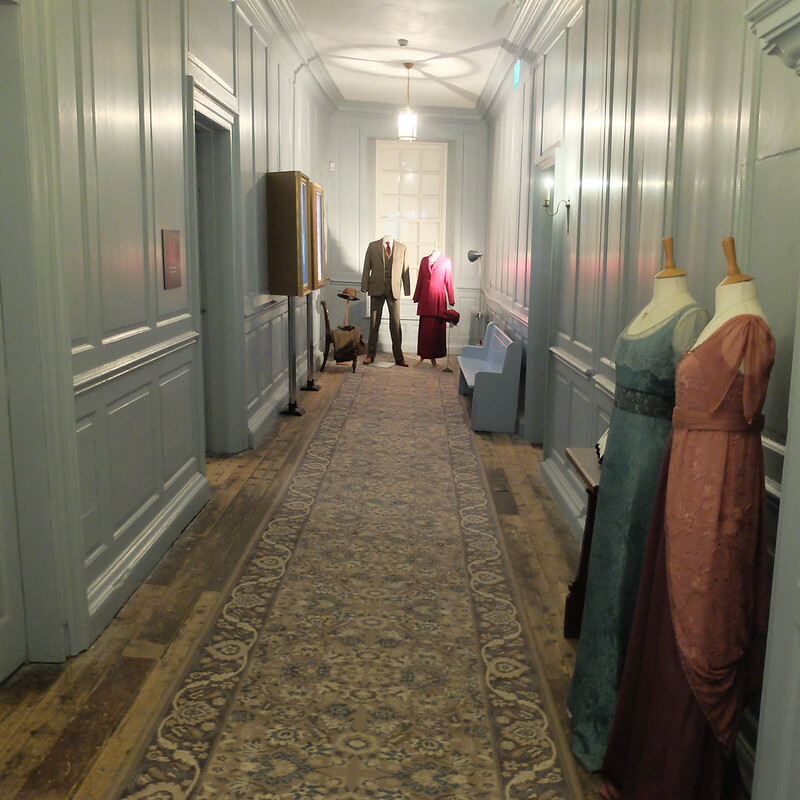 I know they hoovered up a load of frocks from Vintage to Vogue in Bath for one of the recent series.